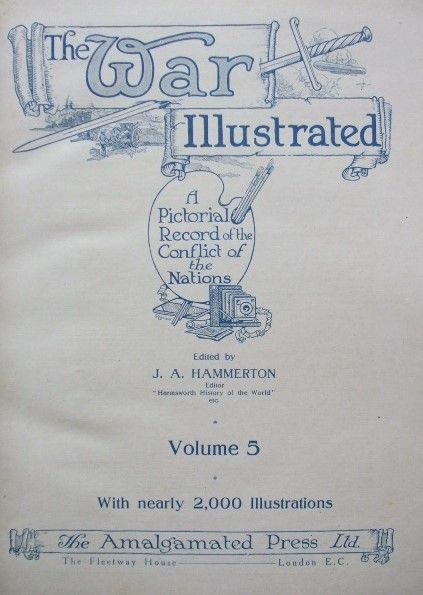 Volume Five hardback of THE WAR ILLUSTRATED (A Pictorial Record of the Conflict of the Nations) edited by J A Hammerton and published by The Amalgamated Press Limited, London. With nearly 2,000 illustrations. The book is in good condition for its age (cloth boards with black lettering and motif to front, and gold and black lettering to spine). No dust jacket as issued. The outer boards have relatively minor wear (rubbing to edges, bumping to the corners), while internally the pages are clean and tight and there are no tears and no inscriptions or writing. Age spotting/browning evident to page edges. 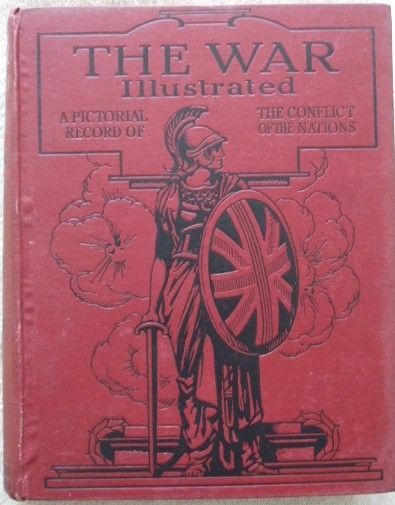 The standard reference on the First World War. Important Note: This is a very heavy book, weighing around 2.4 KG when packaged.